The UCCUCC stands for Unified Contact Center and consists of a queue that can be handled by Agents Each Contact Center has its own settings, interactive voice response questions and Agent with specific skills. Agents can be member of, or sign up to, one or more Contact Centers. settings are used for configuring a single UCC. With the Anywhere365 platform it is possible to configure the settings for a single UCC. Each setting will be listed below. MSMQ used for input errors. MSMQ usef for output errors. The connection to the SQL Server database where the data is stored for the reports. Note When changing the value, a restart of the UCC is required to take effect. TRUE = Call details will be collected. FALSE = Call details will not be collected. Call details are necessary for generating reports. TRUE = Call details will be written to SharePoint in "Call Summary" and "Missed Calls Today". FALSE = Call details will not be written to SharePoint. Tip Chat messages can be found here. TRUE = Allow an IP change on the customer side during chat. Api to enable CoBrowsing for WebChat. Message that will be send to the customer when the chat was disconnected due to inactivity. Default: Chat ended due to inactivity. Message that will be send to the agent when the chat was disconnected due to inactivity. If enabled the agent is capable of sending messages to the customer when he is completing the questionnaire. Enable or disable the Questionnaire for the Customer at the start of the Chat. TRUE = Enable the Questionnaire. Enable or disable the Azure IM Translation. TRUE= Enable the IM Translation. Note Setting "AzureKeyTextTranslationService" should be filled in. FALSE= Disable the IM Translation. The language of the agent. ​​The fallback language of the customer when we cannot detect language. The number of seconds the Agent is offered an Chat. After this the next Agent will be contacted. Note If the Agent has not yet accepted a Chat ToastA toast is a skype instant message notification. from the UCC since opening his Skype Client, it can take up to 30 seconds extra before the Offer times out. The maximum number of simultaneous chats an Agent can handle. Note Extra ChatHunt Endpoints need to be created. The url of the Front End, used for the WebChat Plus functionality. Sets the desired text translation service. Possible values are Microsoft and Google. Enable or disable the Chat input for the UCC. TRUE = UCC accepts chat messages. Note Setting must be true to used commands. FALSE = UCC doesn’t accept chat messages. Replaces the space character of the display name the customer enters during webchat. Enable or disable the WebChat feature. TRUE = WebChat function is active. FALSE = WebChat function is disabled. Message queue for incoming WebChat messages. Time (seconds) the UCC tries to reconnect to the WebChat. Message queue for outgoing WebChat messages. TRUE = Show the name of the initial Agent. Agent who’ll join later on will chat under the initial Agent name. FALSE = The name in the WebChat config will be shown. TRUE = The name of Agent who’ll join later on will be shown in the Chat. FALSE = The name of the initial Agent will be used for Agent who’ll joint later on. Replaces the space character of the username of the customer during webchat. The Application Id of the UCC. The SIPThe Session Initiation Protocol (SIP) is a protocol to make multimedia communication (audio, video and other data communication) possible and it is also used for Voice over IP (VoIP). SIP has similarities with other Internet protocols such as HTTP and SMTP. address of the UCC. Note Moved to endpoint list in 5.0. AzureKey for the TranslationService API. The language in which the IVRInteractive Voice Response (IVR) is a telephone application to take orders via telephone keypad or voice through a computer. By choosing menu options the caller receives information, without the intervention of a human operator, or will be forwarded to the appropriate Agent. Questions are spoken when using Text-To-Speech. Note For zh-CH additional dll's of Microsoft are required. ​Enables or disables conference caching in the UCC. Only set this to false when there are problems with slow frontend machines. FALSE = UCC opens and closed based on the Business Hours and Holidays. Google Translate api key if TextTranslationService is set to Google. TRUE = Contact card of the Caller is shown, contact information of the Caller is shown in the header during hunt. Not during Forward. FALSE = Contact card of the UCC is shown. The number of Agent that are reserved for a Call. Represents the Full Qualified Domain Name (FQDNA fully qualified domain name (FQDN), sometimes also referred as an absolute domain name, is a domain name that specifies its exact location in the tree hierarchy of the Domain Name System (DNS).) of the Skype for BusinessSkype for Business (formerly Microsoft Office Communicator and Microsoft Lync) is an instant-messaging client used by Anywhere365. In order to use SFB, a Microsoft Skype for Business Server is required. Skype for Business is enterprise software; compared to Skype, it has different features that target businesses. front end pool of the UCC. Represents the port number of the FQDN of the Skype for Business pool of the UCC. TRUE = Removes the performance indicators after the UCC shuts down. FALSE = Do not remove the performance indicators after the UCC shuts down. The time (in minutes) after which Anywhere365 will remove and add federatedFederation makes it possible to communicate with customers, suppliers, partners and others, via Lync Server 2010 and Lync Server 2013, which are not in the same Lync environment. Agents to the UCC in order to keep the session with the federated Agents alive. Define the TimeZone in which the UCC is active, if non supplied the server time is used. AzureKey for the Speech to text API. 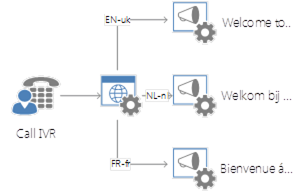 Language used for transcription withe Azure Speech to text API. The Region to use for the Azure Transcription Service. If left empty Transcription will be disabled. Text reply when a non-agent chats to the main endpoint. The time (in seconds) after which Anywhere365 updates the UCC settings (if one or more settings are changed). TRUE = Contact card of the Caller is shown, contact information of the Caller is shown in the header during hunt and forward. TRUE = Enable UCC to send information for Teleopti to the WFM Presence Service. FALSE = Don't use WFM Presence Service. TRUE = Enable UCC to send information for Azure Speech to text service. FALSE = Don't use Azure transcript service. TRUE = Enable UCC to send information for Verint to the WFM Presence Service. The ConnectorUri to let the UCC communicate with CRMCRM stands for Customer Relationship Management and is a method/technology for managing contacts of customers. CRM helps to offer each customer an individual value proposition based on its wishes. In addition, CRM makes it visible which customers represent higher value for the organization and therefore might be served in a different way.. The Domain to let the UCC communicate with CRM. The Hostname to let the UCC communicate with CRM. TRUE = CRM runs on premises. In order to establish a connection with Microsoft Dynamics CRM 2011 an Organization is required. The password Anywhere365 needs to access the Backoffice. The encrypted password Anywhere365 needs to Backoffice. The server name/IP address of Microsoft Dynamics CRM 2011. The user name Anywhere365 needs to access Microsoft Dynamics CRM 2011. FALSE = Generate the old CallClassifications. Enable or disable the Extension Window for Chat conversations. FALSE = CRM information will not be shown. Warning Only "UseTimeline" or "UseCRM" can be true, not both. Enable or disable the use of extra information used for CRM. TRUE = Save extra information, which is used for CRM. FALSE = Extra information will not be saved. Enable or disable the Email Dialogue Provider. TRUE = If a Federated Agent forward a Call, the connection with the UCC will be contained. FALSE = If a Federated Agent forward a Call, the connection with the UCC will be disconnected. DialTone = Play a DialTone during Forward. Playlist = Play the QueuePlaylist during Forward. Queue = Play the Queue Messages during Forward. Silent = Remain silent during Forward. Add the country code in front of the entered number during callbackWith CallBack the customer can leave his / her number to be called back by an available agent during business hours..
Add # milliseconds to the end of the audio files. Set the lowest hunt value for Skype for Business / Microsoft Teams Desk Phones. Available = Hunt Skype for Business / Microsoft Teams Desk phones with the status Available. Busy = Hunt Skype for Business / Microsoft Teams Desk phones with the status Available, Busy and Away. Away = Hunt Skype for Business / Microsoft Teams Desk phones with the status Available and Away. Offline = Hunt Skype for Business / Microsoft Teams Desk phones with the status Available, Busy, Away and Offline. Order in which the Questions are played. TRUE= The number returned by the caller is validated for correctness. It is tested for E.164 compatibility and for the region which is set by the CallbackDefaultRegion. If this option is set to true, the CallbackDefaultRegion is mandatory and must be set to one of the allowed values. TRUE = Play music on hold when customer is put on hold. TRUE= Use Routing Rules during and outside business hours. FALSE= Use Routing Rules during business hours. TRUE = Show Transferred by if conversation was forwarded. FALSE = Do not Show Transferred by if conversation was forwarded. This setting indicates the hunting method to find Agents. LongestIdle =Selects the Agent that did not finished a call for the longest period. LongestAvailable =Selects the Agent that has been available for the longest period. RoundRobin =Selects the Agent based on order, continue order in next call. Serial =Selects the Agent based on order, restart order in next call. LeastCalls =Selects the Agent based on least number of calls today. LeastOccupied =Selects the Agent based on least total handle time today. Note With the setting Maxreservations the number of agents that will be hunted can be adapted (Max 4). When Skill scores are used, then the Agent will be selected first based on the score and after that on the hunting method (Except for Round Robin and Parallel). The order of presence in which to hunt agents. The time (in seconds) that Anywhere365 waits for an Agent to accept the call. If the time is elapsed and the Agent has not accepted the call, the next Agent in line will be hunted. TRUE = Don't sort Skill scores during hunt. FALSE= Sort Skill scores during hunt. The time (in seconds) Anywhere365 waits before the IVR Questions are repeated. Available = Hunt Agents with the status Available. Busy = Hunt Agents with the status Available, Busy and Away. Away = Hunt Agents with the status Available and Away. Offline = Hunt Agents with the status Available, Busy, Away and Offline. Note When using Offline, the Agent needs to have a Call Forwarding. Set the lowest hunt value for Skype for Business / Microsoft Teams mobile client. Available = Hunt Skype for Business / Microsoft Teams mobile client with the status Available. Busy = Hunt Skype for Business / Microsoft Teams mobile client with the status Available, Busy and Away. Away = Hunt Skype for Business / Microsoft Teams mobile client with the status Available and Away. Offline = Hunt Skype for Business / Microsoft Teams mobile client with the status Available, Busy, Away and Offline. The maximum number of Callers that are in the queue. If the queue is full new callers will hear the Overflow Message after which the call is disconnected. The number the Caller needs to enter before he/she can continue in the UCC. Can't be more than 9 numbers. The time (in seconds) between the two messages (Queue position en Queue 3) that will be played in the queue. The time (in seconds) after which the extra message (Message Busy) will be played in the queue. The time (in seconds) after the Call will be disconnected when no choice is made in the IVR. TRUE = Redirect when bandwidth usage limit has been reached. FALSE = Don’t redirect when bandwidth usage limit has been reached. The time (in seconds) after the transfer will be stopped when there is no accept. Play a dial tone during the dial out when using a Forward Skill. TRUE= Enable Speech Recognition in the IVR. FALSE= Disable Speech Recognition in the IVR. The message the agent will hear before the UCC contacts the customer. Default: Press the STAR key to schedule the callback for a retry if the call goes to voicemail. The message the agent when the agent reschedules a callback with the * key. Number of seconds the Voicemail Dialogue Provider calls an Agent. Default: Failed to retrieve the voice mail. The message that plays after the Voicemail Dialer has played the voicemail audio file. Default: Press 9 to replay the voicemail. ​This message is displayed after the User entered his/her name in the webchat. Default: Please, ask your question and we will connect you to an agent. ML based skill routing is only used when the skill probability is above this value. The Play List that the Agent will hear when the call is waiting for the DTMF tone of the Agent. The Play List that the Customer will hear when the call is being broken in on. The Play List that the Customer will hear when the Agent puts the Call on hold. The number of seconds before the Prompt question will be repeated. The number of times the Prompt question will be asked before canceled. The # of seconds when the UCC disconnect if the Customer makes no choice in the Quality Monitoring. Enable or disable the Quality Monitoring. TRUE = Caller will be forwarded to the Agent Rating after a Call. FALSE = Caller will be disconnected after a Call. Enable or disable Quality Monitoring after WebChat Audio/Video. TRUE = Caller will receive the QM in his/her screen after the audio/video is ended. FALSE = Caller screen returns to chat after audio/video is ended. Enable or disable Quality Monitoring after a Outbound Conversation. TRUE = Offer QM to the Customer after the OutboundCall is ended. FALSE = Disconnect after the OutboundCall is ended. TRUE = Recordings will be copies to a SharePoint Library. FALSE = Recording will be saves on the Application Server. TRUE = SharePoint runs on premises. The SharePoint list where the recordings are copied to. If the list doesn't exist, the list will be created. Save the recordings to a sub folder in the Library, the name of the sub folder is based on the Agent address. 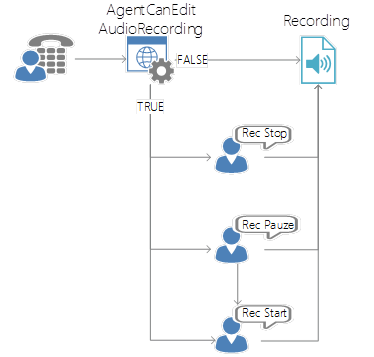 Save the recordings to SharePoint Online using AAD. FALSE = Save recording to the local SharePoint. Save the recordings to SharePoint Online using ADFS. UCNPath to where the recordings will besaved. The address of the Application Endpoint used for the Interceptor. Note Moved to Endpoint list in CoreThe Core is the center of Anywhere365. It manages all the Dialogues. 5.0. TRUE= Ignore internal traffic within the same domain. Enable or disable if the recording should be saved. Should be combined with the Save Recording button in the Social Attendant. TRUE = Save recording at the end of the conversation. FALSE = Delete recording at the end of the conversation. Enable or disable recording after a transfer. TRUE = Stop the recording after a transfer. FALSE = Continue the recording after a transfer. TRUE = All Calls will be recorded and an additional welcomes message (Welcome Recording) will be played. FALSE = Call will not be recorded. Enable or disable Direct Inbound Recording with the interceptor. Enable or disable the identity of the Customer of intercepted Direct Inbound conversations. Enable or disable the identity of the Agent of intercepted Outbound conversations. Enable or disable Outbound Recording with the interceptor. Enable or disable the creation of SharePoint Surveys at the start of a new conversation. Enable or disable the creation of SharePoint Surveys at the start of a new Inbound conversation. Enable or disable the creation of SharePoint Surveys at the start of a new Outbound conversation. 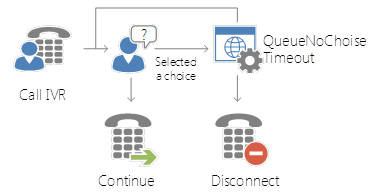 Enable or disable the creation of SharePoint Surveys at the start of a new Outbound Dialer conversation. The list of the SharePoint Survey that should be created at the start of a new conversation, multiply Surveys can be created if the names are comma separated. The connection to the SQL Server database where the data is stored for the surveys. The number the Agent needs to press after accepting a Call. Enable of disable if the Agent enter a DTMF tone (example press 1) after accepting the Call. TRUE = Agent needs to enter a DTMF tone. Note Use setting "AgentAcceptWithDTMFChoice" to define the DTMF tone. FALSE = Agent is connected to the customer after accepting the Call. Warning Not supported with Paralell hunting. The number of seconds the Agent has to press the DTMF tone. TRUE = Agent can Stop, Pause and Start recordings using commands. Rec Start = Resume recording, only if recording is paused. FALSE = Agent can’t influence the recording. Enable of disable the Call Forwarding settings of the Skype for Business / Microsoft Teams client. (Sim-Ring, Delegates and Call Forward). TRUE = Don't use the Call Forwarding settings of the Skype for Business / Microsoft Teams client. FALSE= Use the Call Forwarding settings of the Skype for Business / Microsoft Teams client, except Voicemail. The time (in seconds) before a new Call will be forwarded to an Agent after the previous Call is finished. Change the behavior for LowestHuntPresence Busy. The image that the Main Endpoint will display in Lync and Skype for Business . Enable or disable discharge duration after Outbound conversations. TRUE = Agent get Discharge Duration after an Outbound conversation. FALSE = Agent won't receive Discharge Duration after an Outbound conversation. TRUE = Voice Mails will be copied to a SharePoint Library. FALSE = Voice Mails will be saved on the application server. The name of the SharePoint Library, where the Voice Mail must be copied to. If the list doesn't exist, the list will be created. 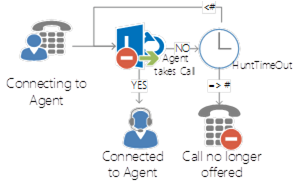 Save the voicemail to SharePoint Online using AAD. FALSE = Save voicemails to the local SharePoint. Save the Voicemail to SharePoint Online using ADFS.